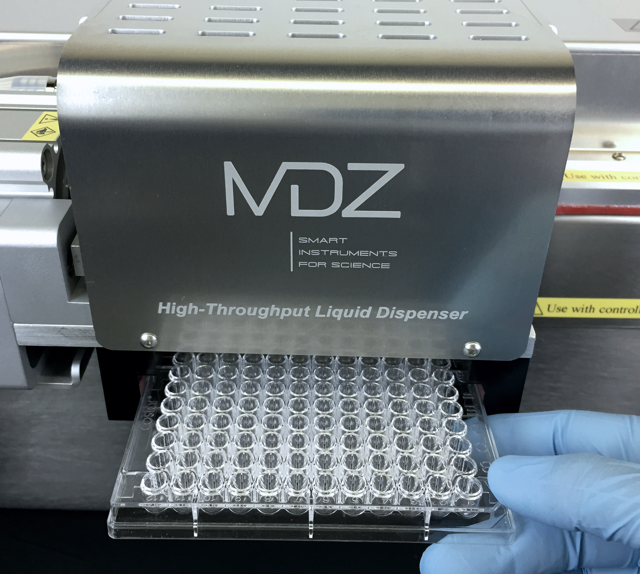 The HTF-96 is a high throughput Plate Dispenser System used to fill microplates. A variety of reagents can be accurately and repetitively dispensed. 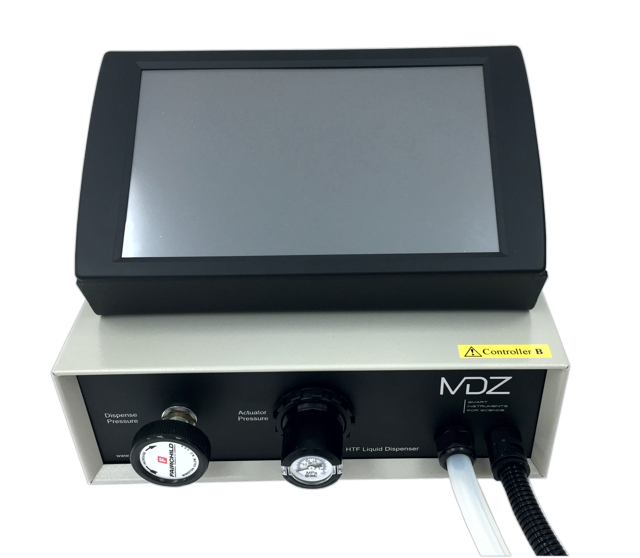 From 10uL to several mL can be dispensed extremely fast! 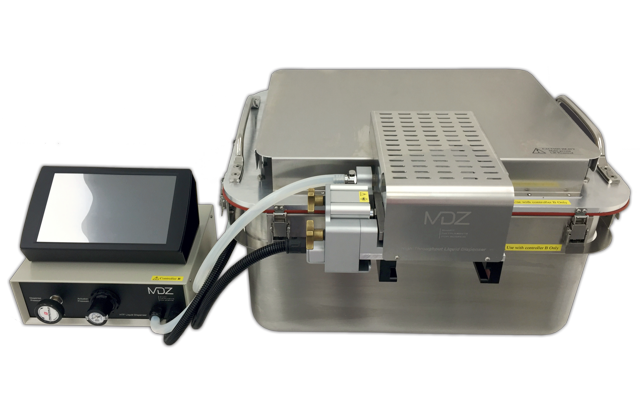 The plate dispenser uses a friendly touch screen controller, which allows the user to create and save protocols. Multiple process variables are shown on screen for system operation. 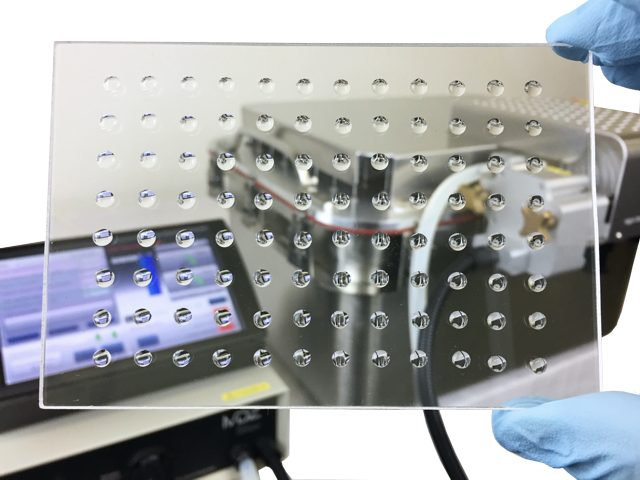 A variety of accessories like plate stackers, barcode readers, microplate printers and analytical balances can be used with the dispenser in high throughput applications. 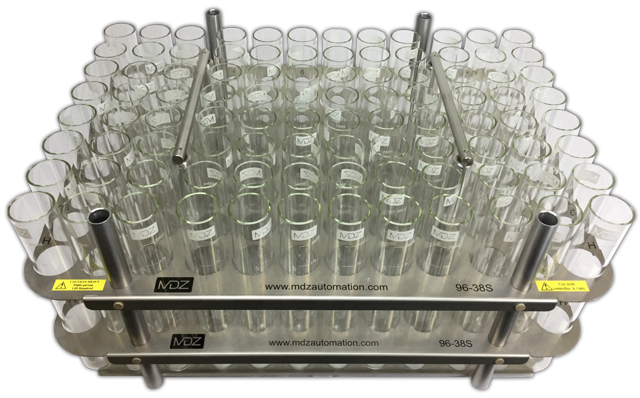 Just fill the reservoir tubes with the desired reagent and start filling thousands of microplates! • 10uL to several mL dispense volume range. • Extremely easy to use and operate. • Integration with plate stackers, label printers, analytical balances and advance robotic systems available. • Used of modern electronics and digitally controlled. 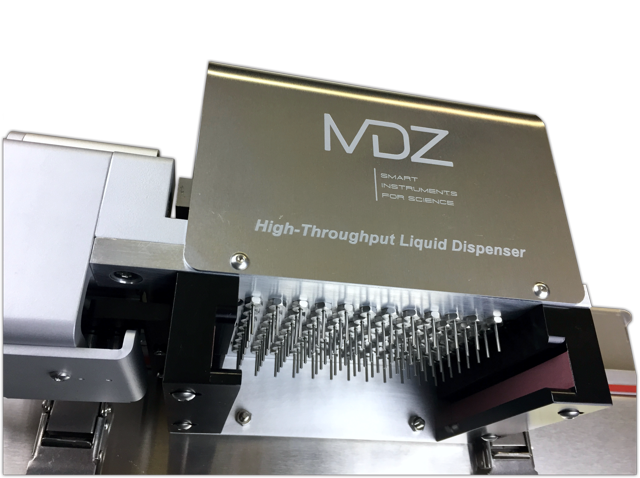 • Advanced linear algorithm that automatically compensates for liquid level height in the reagent tubes to increase precision and accuracy during the entire dispense run. 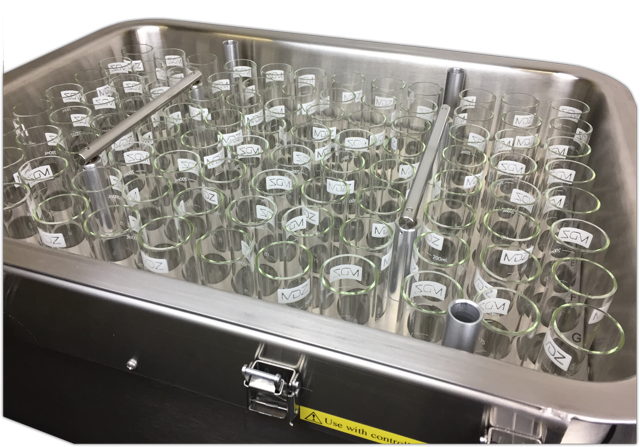 • Filled plate counter and reagent tube remaining volume to keep track of instrument use and activity. • Many safeguards have been implemented to monitor air pressure and process variables to guarantee there are no leaks or other problems that affect the plate filling. • User programs or protocols can be saved and retrieved for future use. 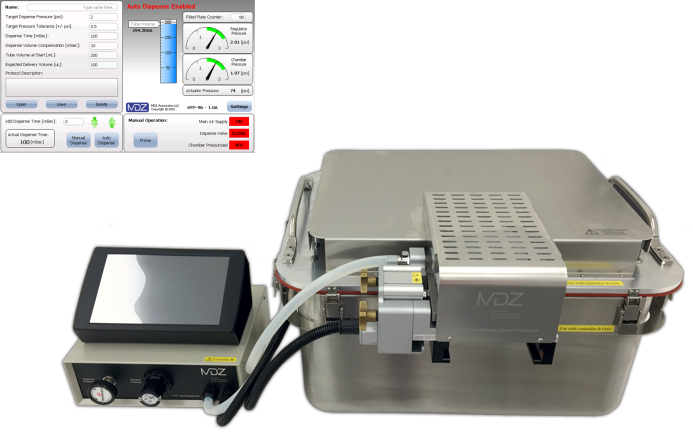 • Advanced control algorithm with independent dispense pressure and dispense time adjustment for accurate and repetitive plate fillings. • Seamless, no welds, stainless steel pressurized container. No bacteria grow and easy cleaning. • Use of draw latches to open/close the pressurized container for faster and easier access to reservoirs rack. 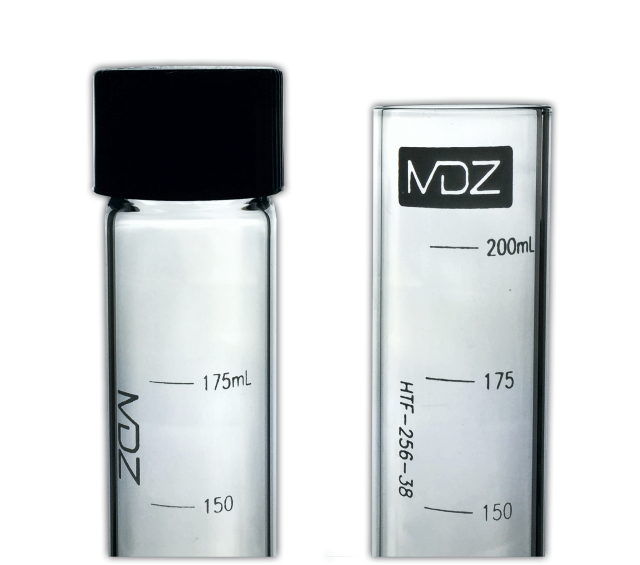 • Large reservoir tubes available in 100mL and 200mL, with open end or autoclavable screw caps.